After leaving School 15 years ago my first stop was cooking school. I wasn’t really sure what in the world I wanted to do but I knew I loved to cook for people so decided my new aspiration was to become a chef. After being told, quite politely, by my teacher at that time that I talked to much to be stuck in a kitchen everyday, I went on a career hunting adventure over many years. I tried soooo many things…Horticulture, waitressing, landscaping, accounting, started a business degree, interior design, sports management and finally found my calling when I qualified as a Personal Trainer and opened my first boutique gym 6 years ago. Although I did love what i was doing I always had a deeper desire to further help people, so completed a number of extra nutrition and coaching certificates and enrolled myself to become a Remedial Therapist. I thought this would help me on the road to “fixing” people. However, as before, I still felt that burning desire that there was something else out there for me to learn in order to motivate and inspire people to become the best version on themselves they could possibly be. This is when I stumbled across the Institute for Integrative Nutrition, this is what I claim to be my “light bulb moment”. 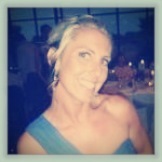 It made so much sense to tie in all of my knowledge and experience into this one qualification: a HEALTH COACH. Since enrolling 3 months ago I haven’t been able to contain my excitement and so many doors have started swinging open. I am so grateful for the new path my life is taking and would you believe that after 15 whole years my passion for cooking has returned. Although this time around, after everything I’ve learnt over the years, the ingredients I am experimenting and creating with are far more pure and nourishing. I absolutely love shopping and hunting for yummy, quality ingredients. Then when I get home, have so much fun getting lost in the middle of a kitchen full of nuts, seeds and superfoods. And the best part, I get to talk just as much as I like! 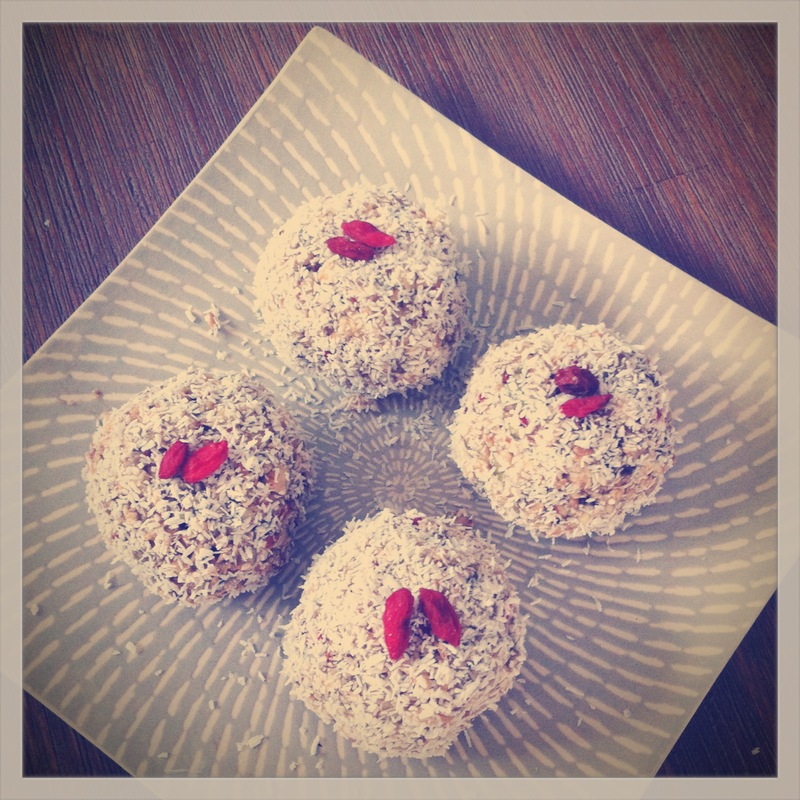 To celebrate the rediscovery of my passion I would love to share my famous Gogi Berry Bliss Ball recipe with you. Goji Berries contain all essential amino acids and also have the highest concentration of protein of any fruit. They are loaded with vitamin C, contain more carotenoids than any other food, have twenty-one trace minerals, and are high in fiber. Boasting 15 times the amount of iron found in spinach, as well as calcium, zinc, selenium and many other important trace minerals, there is no doubt that the humble yogi berry is a nutritional powerhouse. What is your favorite healthy snack? Would love to hear your go-to food in the comments!